Deep Space Invaders is a FREE game where you have to save the galaxy and destroy a horde of invasive alien spaceship to achieve the greatest possible number of points and achievements . Your spaceship should avoid the alien attacks and have to destroy all the alien spaceship as you can before they kill you . Invite your friends in multiplayer mode and uncover who is the most skilled in the galaxy. – Arcade game mode . – Multiplayer game mode . – Mercenary game mode . ★ Several wallpapers to choose in arcade and multiplayer mode . ★ The management of the spaceship is very simple . ★ The difficulty increases over time . 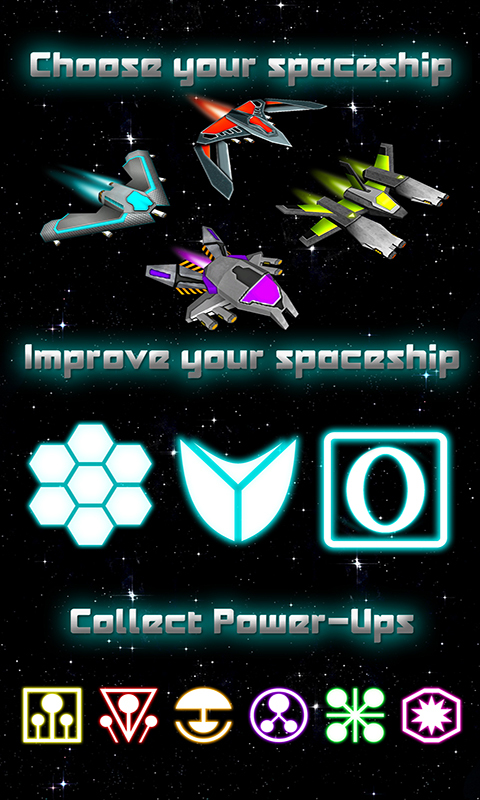 ★ Ten PowerUp , weapons and upgrades differents . ★ Secondary Weapon of mass destruction . ★ Each enemy has a different strategy for destruction . ★ Amazing 3D graphics and sound effects . ★ A beautiful soundtrack . ★ Achievements & Leaderboards . 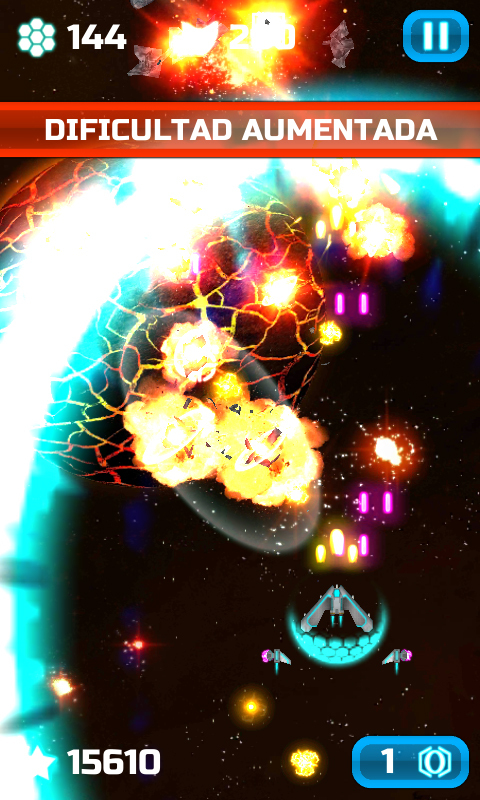 ★ A cool shoot ’em up war style and sci-fi environment . 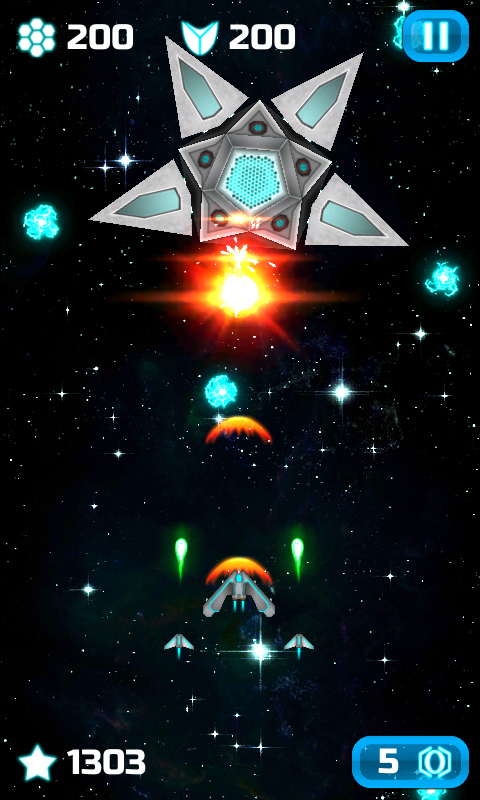 ★ It is a very addictive and fun alien space shooter . – Slide your finger on the screen to move the spaceship . – Secondary weapon button below right (mass destruction) . – Pause, remaining energy and shield buttons are top of the screen . – Score is lower left of the screen . This is a indie game, i will make a future updates along the time . Your comments and feedback will shape the game in the future .